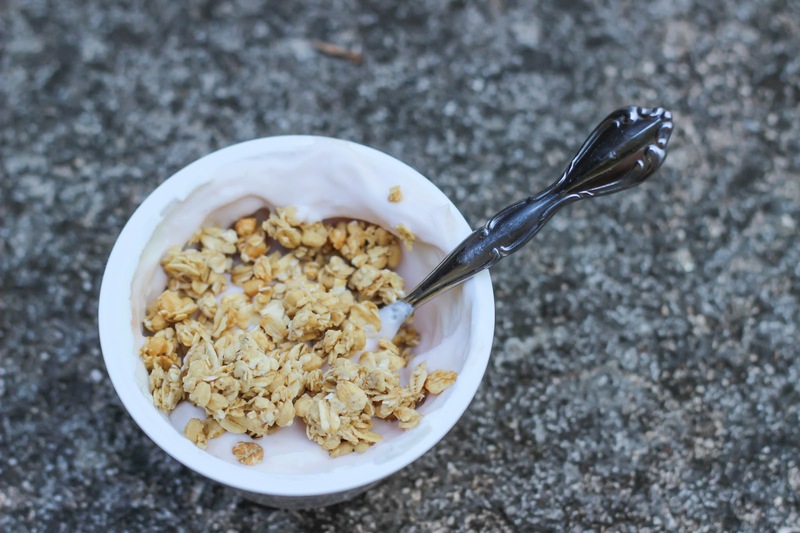 Nature Valley Protein Granola has been a staple in our house for years. I usually use it in yogurt, and lately have started adding it to my smoothies for some extra protein and to make them more filling. I’ve just started eating Quinoa instead of pasta for dinner and love it, so I was excited to try these Quinoa bars. They are super yummy! 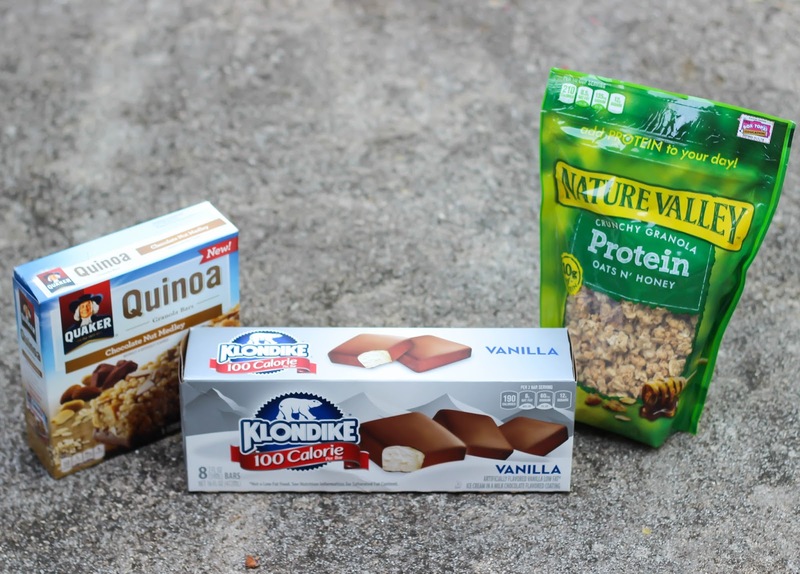 Finally I stocked up on some of these Klondike 100 Calorie Bars – I love that I can enjoy a Klondike without worrying that it’s accounting for too many of my daily calories. Okay friends – do not forget to check out this awesome deal on saving $5 off your $25 purchase at Publix. I would love for one of you to celebrate Spring with $15 to buy snacks with! enter using the Giveaway Tools below and don’t forget to follow me on Facebook to make sure you don’t miss the winner’s announcement. US only 18+ to win. I like Nature Valley Breakfast Biscuits because they are great for busy mornings. I love the Chex Mix because its delicious and healthy. I love the Yoplait 100 Whips because they're nutritious, delicious, and can be added to recipes like smoothies. My favorite is the Klondike bars. I love the dark chocolate and vanilla ice cream ones, because they taste so good. I like Sun Chips because they bring back childhood memories. I like the Chex Mix because it's really good. Chex Mix, I've loved it since I was a kid! I love Chex Mix because it doesn't get boring since there are a variety of things in it! The chex mix is my favorite and my kids just love it also. We love the Klondike bars–so creamy! Gotta go with Chex mix! My favorite is the klondike bars because they are the perfect summer treat. I love Chex Mix, easy to prepare for parties. I like Chex Mix because it is fun and delicious. My family is crazy for Ben and Jerrys, who does nt love ice cream! The Chex Mix is my favorite product because it's such a yummy snack! My favorite is the Fiber One bars because they are so good for me. I love the Chex Mix because it's simple and delish! I love chex mix because it reminds me of my childhood! I love Sun Chips. They taste so good. Sun Chips, healthier than regular chips and really yummy! Klondike is my favorite. They're so delicious. My favorite is the Klondike bars, they are just so good. Oh my favorite is the Yoplait Greek 100 Yogurt! Love the taste and calories! Sun Chips are my favorite! So crunchy and tasty. My favorite is Cheetos Cheese Flavored Snacks. I love the cheese flavor. I like the Pepsi one because it's my favorite drink! I love the Chex Mix because it's crunchy and good. I like Chex mix because it tastes delicious. Chex mix, because it is addicting and such a satisfying snack! I like Doritos because they are tasty! I like chex mix because they are yummy! I like Klondike bars because I love ice cream and the crispy coating. The ben & jerry's cups are good. My favorite is the Nature Valley Breakfast Biscuits because I can take them anywhere. I keep a pack in my purse, the car, my desk for either a quick breakfast or snack when I need it. My favorite product is the Yoplait Greek 100 yogurt because they come in delicious flavors and make the perfect addition to my breakfast smoothies in the mornings. My favorite is Ben and Jerry's cups because They are the best! I like corn Chex because they are gluten free. I could really go for a Klondike bar right about now. I would choose Doritos. I love the cheesy taste! Klondike bars are the best!! Klondike bars are my favorite because i enjoy ice cream treats! I like the Nature Valley Breakfast Biscuits, because they can be a quick healthy snack. My fave is chex mix, because it's something quick for the kids to snack on. the klondike bars are the best! I like Doritos because I like how they taste. Nature Valley Breakfast biscuits.. my kids like snacking on them. 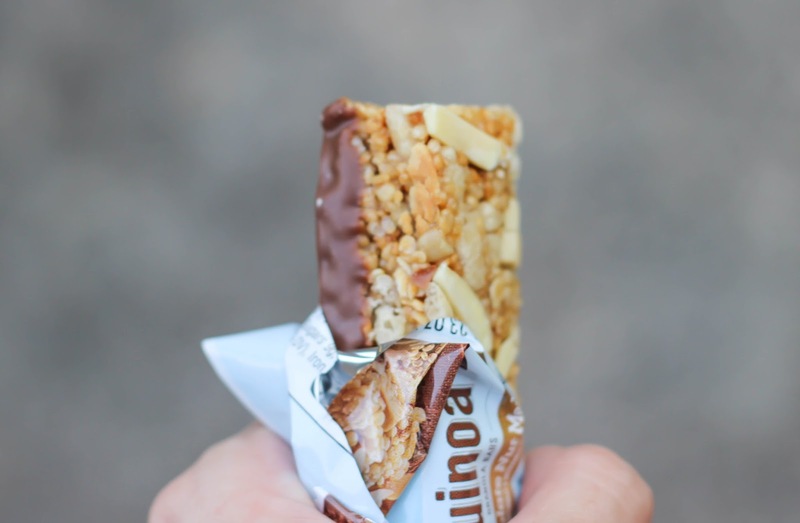 I think the quinoa quaker bars look amazing! My favorite product is the Yoplait Greek 100 yogurt. I find yogurt to be the easy quick breaksfast on the run/move. Klondike Bars are a favorite of mine-the combination of ice cream and chocolate is a winner. Ireallt want to try the Klondike bars. Ilove them! I love the Yoplait 100 Whips because they're nutritious and delicious. That bag of Chex Mix looks like I need to devour it RIGHT NOW. I like Doritos because they taste good! Doritos are my favorite. I love to have them at parties. Thank You for the giveaway…we like Nature Valley Breakfast Biscuits with coffee for a mid-morning snack. I like the Chex Mix the best because it has so many varieties and almost all of them are really tasty. They have a combination for your every mood. I like the Doritos deal…we eat those all the time! I love the Nature Valley Breakfast Biscuits, because I can just carry these in my purse.